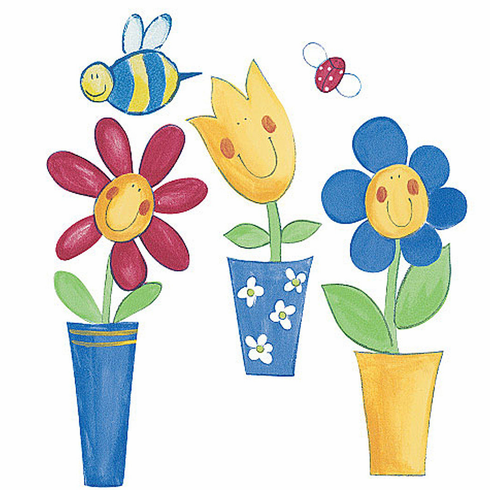 Silly Flower Pots wallies wallpaper cutouts add great fun and whimsy to kitchens, garden rooms, laundry rooms, childrens rooms. An assortment of 25 WALLIES wallpaper cutouts. Larges measures 7" x 3 1/2"